Massachusetts Lt. Gov. Karyn Polito speaks during a ceremony Tuesday at Reed Park in Manchester. 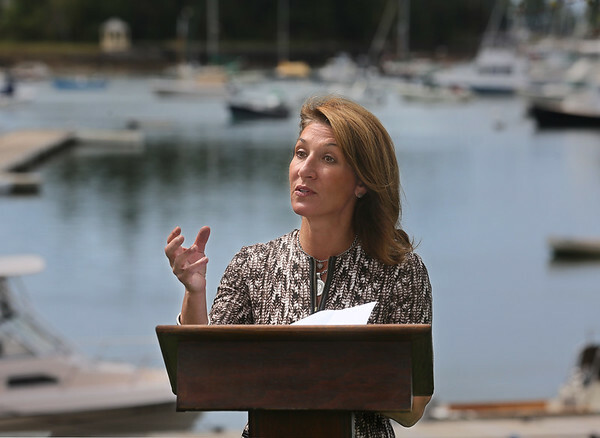 Polito announced a MassWorks grant for $500,000 for a project to dredge Manchester Harbor.